Quality headwear you expect. Customer Service you deserve. Midway Cap Company offers a comprehensive line of uniform caps. 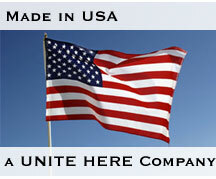 Our headwear is union-made entirely in the USA. We offer an outstanding selection of uniform caps for police, fire, transportation, security and career apparel. Please browse from the categories on our web site. Any cap you see can be customized to fit your needs and specifications. We never say no! Give us call or write to us here. * Other popular Caps include bus, chauffeur, and beret, “Modified Fort Knox”, “American Legion”, Military Cadet, Page Boy, Foreign Legion, Boating and Yachting. All of our cap styles are upgradeable to a “Superior” hand finish quality.